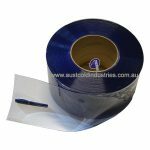 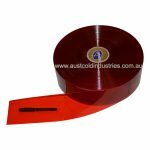 Clear Plastic Rolls for doors are supplied in 50m rolls with a range of width and thickness to suit the door size. 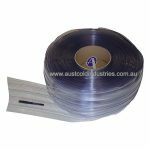 Freezer grade PVC is available for freezer rooms with temperatures below 0 Degrees Celsius. 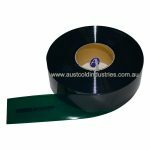 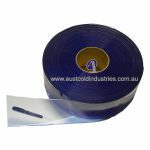 Ribbed PVC is available for Cold rooms with temperatures between 0 – 40 Degrees Celcius and can be used for doors with Forklift traffic. 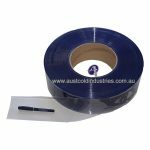 Flat PVC is available for Cold rooms, shop entry doors, kitchen doors, and doors to keep air conditioning in and save on electricity. 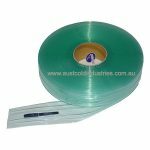 Click on the links below for information on PVC Strip Doors.